Anyone in a collision center knows that every stage in the automotive refinish process is critical. One misstep along the way can compromise the end result. One very critical step is the first one: making sure a vehicle is properly prepped for refinish. To that end, PPG has developed a new course designed specifically to train technicians in the craft of refinish preparation. The two-day class, called “PPG Refinish Preparation Specialist,” is intended for entry-level assistant technicians who have never received any formal PPG training and work alongside body and refinish technicians using PPG products and processes. The “prepper course,” as it’s known, will be scheduled regularly at each of PPG’s 16 Business Development Centers across North America. 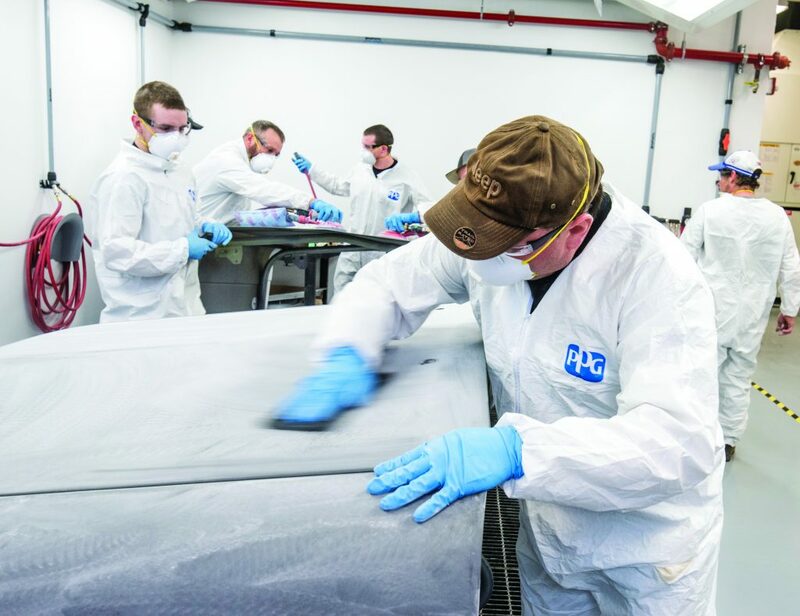 Students attending a prepper class will be able to develop their skills in substrate cleaning, sanding, masking and bumper cover and plastic parts preparation. Participants are also taught the importance of keeping a clean and organized shop. Upon completion of the class, graduates are also certified in EPA 6H Area Source Rule requirements and receive a certificate of achievement. The PPG Refinish Preparation Specialist class is now part of the PPG training curriculum. It is appropriate for entry level technicians in both small and high-production collision centers as well as fleet maintenance and repair shops. A complete schedule of PPG training opportunities is available at ca.ppgrefinish.com/Training.